Having 8 years of experience, our technicians from Duval Paving, LLC specialize in residential and commercial crack repairs. Our excellent workmanship and attention to detail will leave your property looking brand new. We use only state of the art equipment to give 100% satisfaction guaranteed results. Having to re-pave your surface will end up costing a lot more than to regularly maintain it. Don't neglect your asphalt. 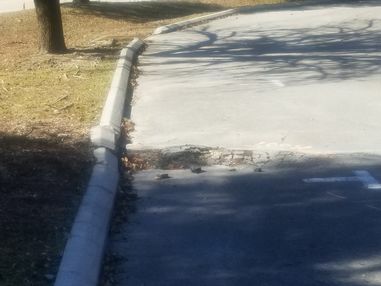 Call (904) 201-2161 and set up your appointment with Duval Paving, LLC, for a free estimate, to have your cracks repaired before the damage is worse.